Episode 12 is as fun as the title suggests! Cecile finds herself with some temporary, pregnancy meta powers. She’s able to read everyone’s minds and is enjoying every little secret she’s finding out. Joe and the others aren’t so enthusiastic about her new discovery though. 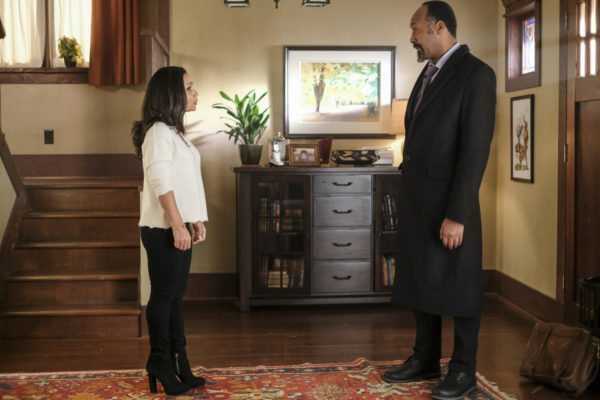 Caitlin tries to get to the bottom of where her powers came from and in doing so finds out that while the baby isn’t a meta, she’s having a girl! Cecile reads their minds as they all try to find reasons for her new found metaness, apart from Cisco who is preoccupied with his love for Bulbasaur! The team are worried that they aren’t making any progress in freeing Barry, Harry especially is extremely frustrated. Barry doesn’t seem to phased by it all though. He’s made friends, and is using his speedster skills to cheat at a game of cards (yeah ok, it’s for the gain of others, but still – cheating is cheating). We get some backstory for Big Sir and see how he was framed for a murder her didn’t commit. Barry vows to have him set free, even though he’s warned by The Warden that the people in there are monsters and that he shouldn’t get too close. We meet a new meta called Sylbert Rundin who has the power to make things teeny tiny. When the boys track him down he quickly catches on to their suspicions and he ends up shrinking Ralph and Cisco down to two inches tall. 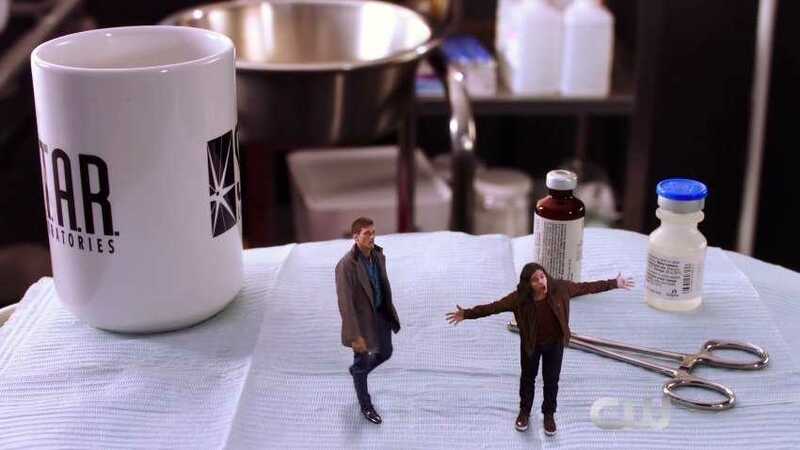 The first scenes with mini Ralph and Cisco are hilarious! Ralph tries to stretch his way bigger and Cisco tries to breach himself taller. After doing some digging it’s discovered that Rundin was actually responsible for the crime Big Sir was charged with. Cisco outdoes himself with the meta nicknames with this one, as he names Rundin “Dwarfstar’. So mini Ralph and Cisco first get put in a hamster cage and then find themselves living in a lego set … how flipping cool!!!! Rather than helping, Harry builds a contraption that makes matters worse and destroys their cells. It’s a race against time to find Rundin who eventually is tricked into blasting them big again. Phew. As he’s carried off in chains he refuses to confess to the crime Big Sir is in prison for. Barry is left to break the news to him, and he actually takes it quite well. Barry ends up taking it upon himself to free Big Sir and flashes him away to a little town in China he’d been dreaming of visiting. Barry is sitting in his cell all smug when he’s paid a visit by The Warden. The once friendly prison officer has changed due to catching Barry on a secret camera outside his cell. He knows Barry is The Flash and knows that he broke Big Sir out of prison. Worse still Barry is drugged and carried off to a secret cell somewhere else, and the episode ends with the The Warden making a call to Amunet Black. He’s being sold on the meta black market! This was a classic episode of The Flash. Loads of humour mixed in with some drama and it’s a winning formula. This season goes from strength to strength and is fast becoming my favourite season of all the DC shows so far.